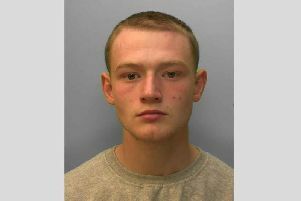 Robert Hepburn, 28, unemployed, of The Fieldings, Southwater, was convicted at Hove Crown Court on Monday (30 March) of 18 sexual offences, according to a statement issued by the police. The statement said ten of the offences were of causing or inciting engagement in sexual activity, seven were of possession of indecent images and videos of children, and one was of possessing prohibited images. The case was adjourned for sentencing on Tuesday 5 May. Hepburn currently remains on court bail. Detective Constable Phil Peadon said: “Hepburn was an Assistant Scout Leader. We arrested him in August 2013 after receiving information, and numerous indecent images and videos and some prohibited images were found on a computer we seized from his address. Thousands of Skype and MSN Chat Logs were also been found on the computer and a number of Skype User Ids and email addresses were created. “He then used these Ids and email addresses to contact young boys and one young girl befriending them before exchanging indecent images and sexually explicit messages and in some cases watching them carry out indecent acts on webcam.